Rich & Poor Hostel Albufeira i Albufeira, Portugal: Reservér nu! Cancelation policy is 2 weeks before arrival. After that period we will charge 50 % of the total amount. Our house, belonging to one of the oldest families in Albufeira, is located in the heart of the old town “Baixa” and was completely remodeled in order to offer our guests the highest standards of comfort possible. We love tradition in order to transmit this to our guests. wonderful breakfast in the morning with homemade, biological and natural products or a snack during the day. Just vis-à-vis you find the bus stop from the bus company “Giro”, which is connected to the entire town.There is also a central taxi stand just around the corner. An array of activities can be enjoyed in the surroundings, including hiking along our unique coasts or by participating on a spectacular surf session in one of our beautiful beaches. 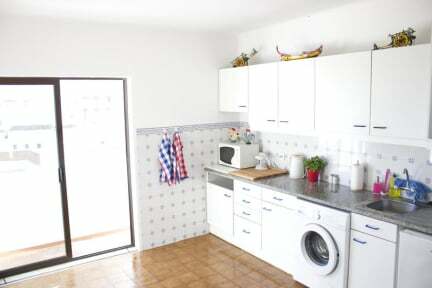 The hostel is 600 metres from Old Town Square, 250 metres from Fisherman's Beach and 1,5 km from Albufeira Marina. Faro Airport is 46 km away. 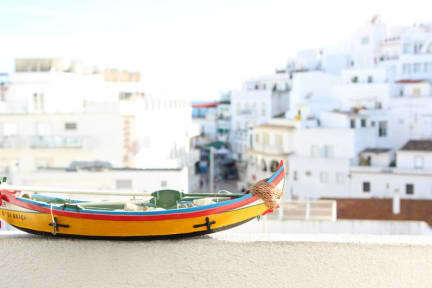 Albufeira City Center is a great choice for travellers interested in restaurants, food and nightlife. Check-out before 09:00 h works with key deposit. Extra fee on CARD payments!